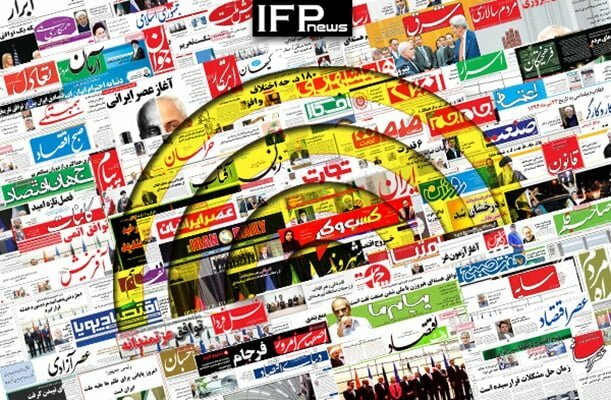 IFP has taken a look at the front pages of Iranian newspapers on Thursday, May 10, and picked headlines from 18 of them. IFP has simply translated the headlines and does not vouch for their accuracy. The top story in all papers today was the remarks made by the Leader of Iran’s Islamic Revolution Ayatollah Seyyed Ali Khamenei on the US withdrawal from the Iran nuclear deal. Other reactions by Iranian officials, including that of President Hassan Rouhani, Parliament Speaker Ali Larijani and IRGC Chief-Commander Major General Mohammad-Ali Jafari, also received great coverage. Also a top story was the US Treasury’s move to revoke the licences it had earlier issued for plane manufacturers Boeing and Airbus to sell passenger aircraft to Iran. Big Test for Officials: Can They Maintain Iranian People’s Dignity? 1- Iran Leader: I Told You Several Times Don’t Trust US! Now You See the Result!